How often do audience members of a live performance have a chance to make the final cut of a song? Cue up-and-coming duo Freedom Fry, who recorded their audience during a residency at The Echo in Los Angeles, pulling group vocals and claps into the final cut of "21". As a French/American duo whose name plays off of the US and French relations during the Iraq war, 2015 has found Freedom Fry on a steep incline in popularity with the well-received release of their song "Shaky Ground (Hey Na Na Na)" and being named to Spotify's list of '100 Emerging Artists From SXSW'. Having released music with one another since 2011, Marie Seyrat and Bruce Driscoll have grown as a group and also together in the time since, marrying both their sound and each other. Their unison is front and center in their fun-loving song "21". Keeping to an almost surf-rock meets new age synth pop sound, "21" maintains a spirited momentum throughout. Fueled by the exchanging of vocals between Marie and Bruce, "21" can add positivity to any day. 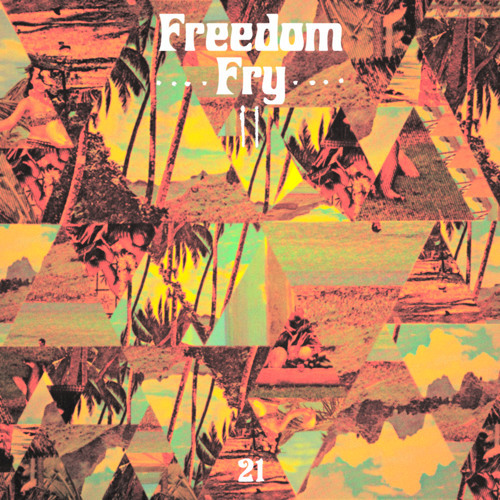 Freedom Fry had this to say of the song, "'21' is about feeling high on all the possibilities of a life that lies ahead. It’s about celebrating the time we're alive." Thankfully, "21" comes just in time for summer.